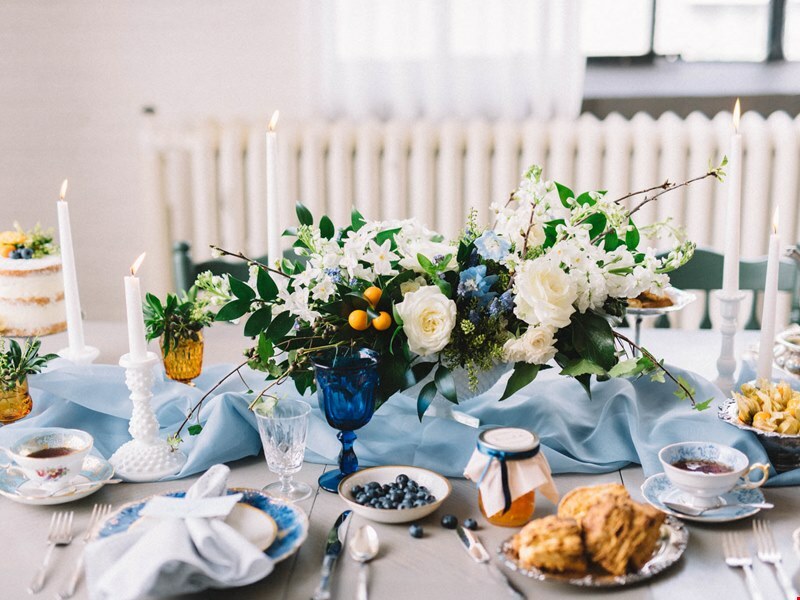 Mistyna and Joe dreamed of a casual wedding with a classic colour palette, far from all things pretentious. 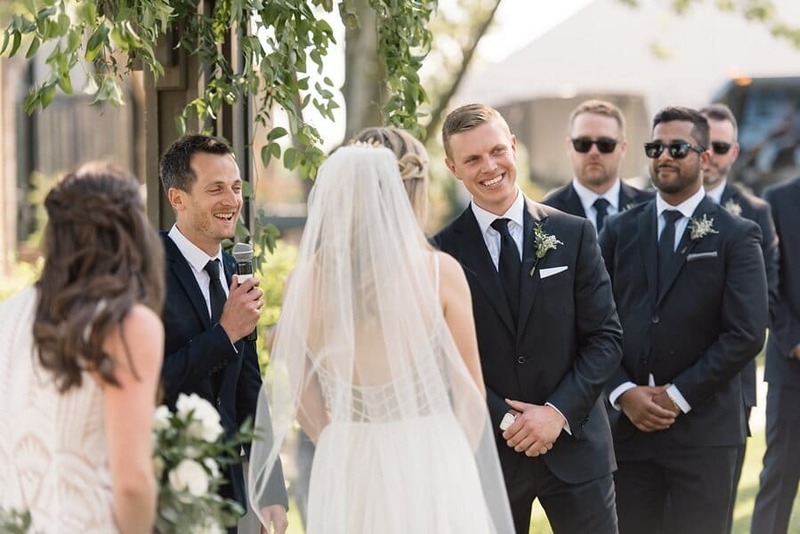 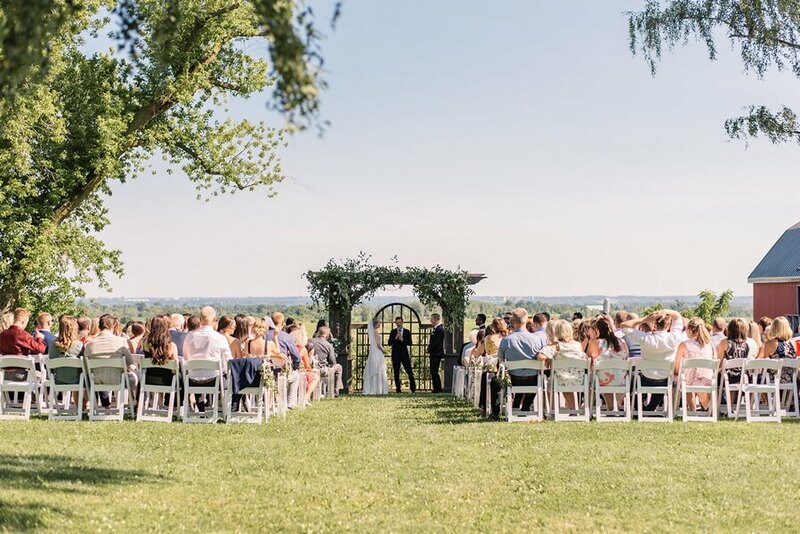 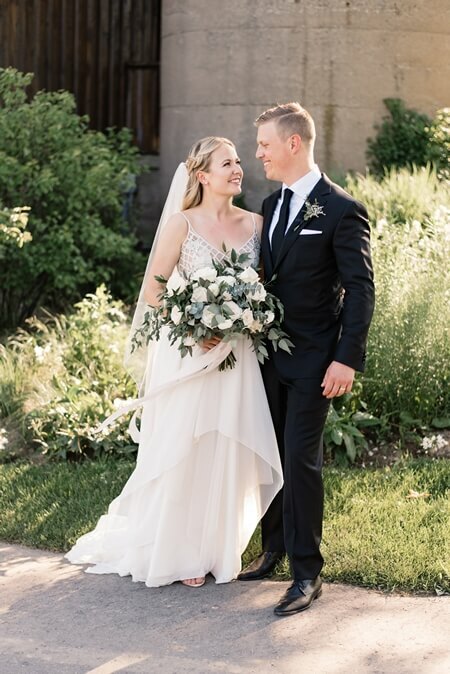 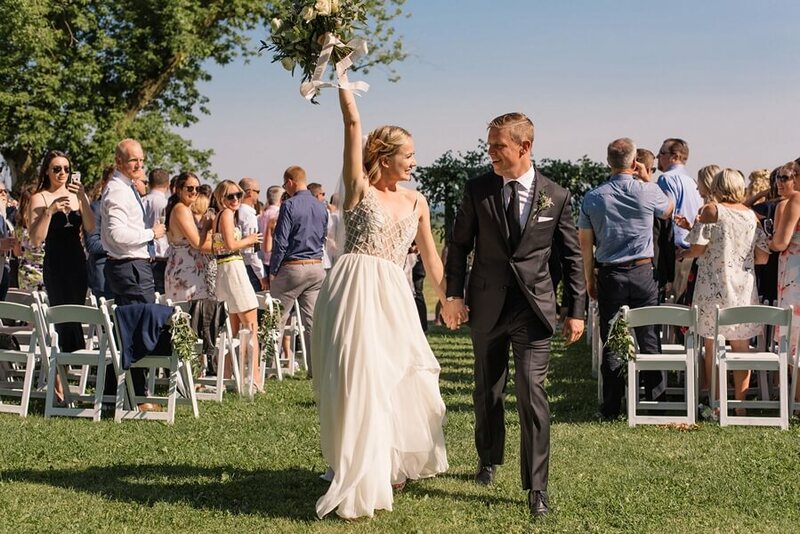 Reflecting their love of nature and laid-back personalities, it was no surprise that once they visited Earth To Table Farm, the search for the ideal place to hold their wedding was over. 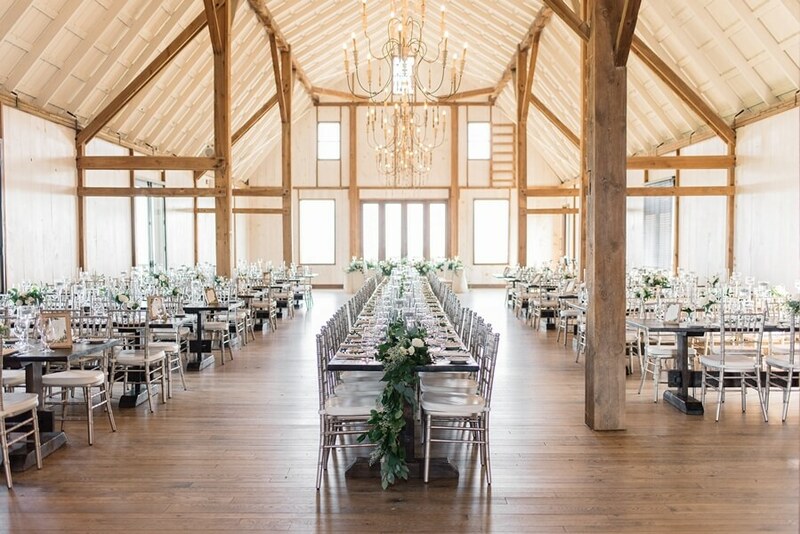 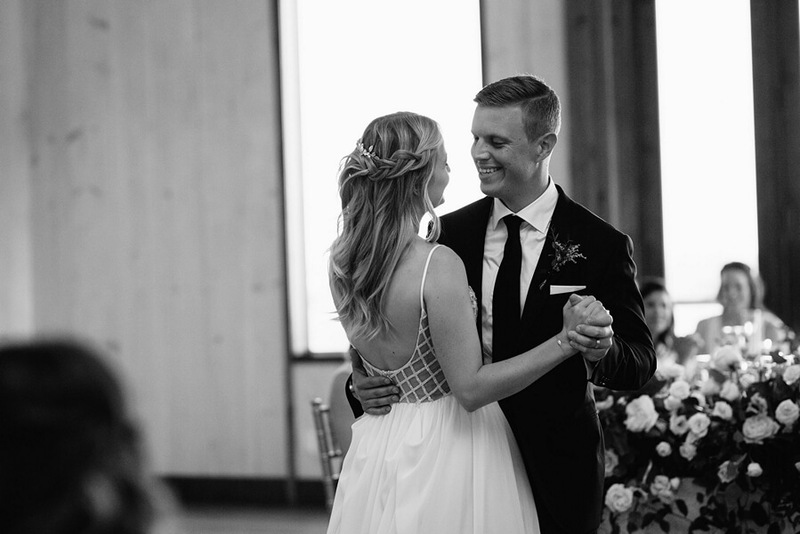 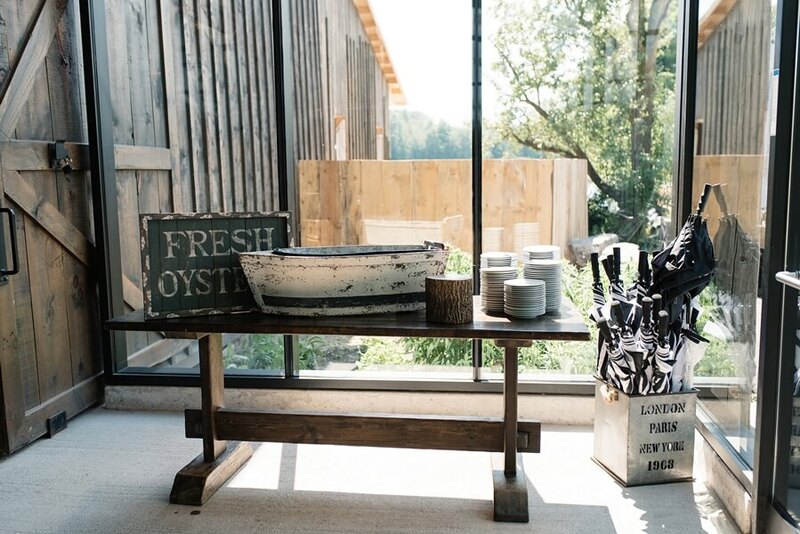 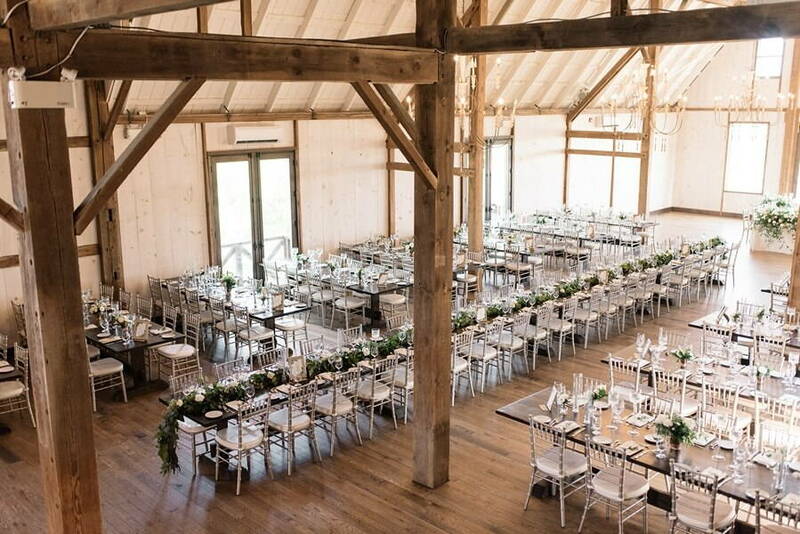 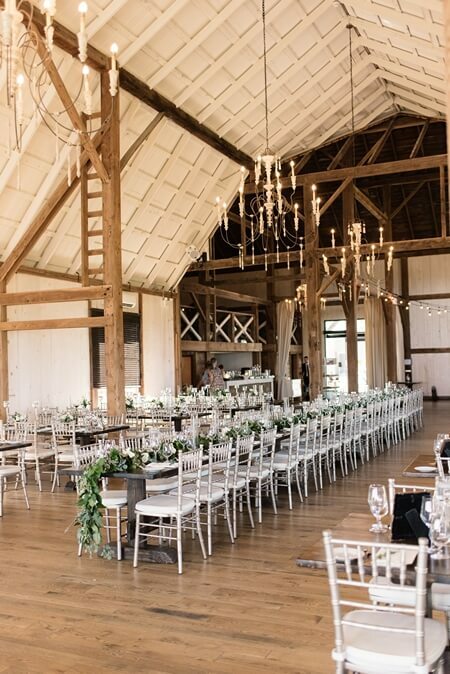 The couple fell in love with the farm’s picturesque scenery and the barn’s rustic charm. 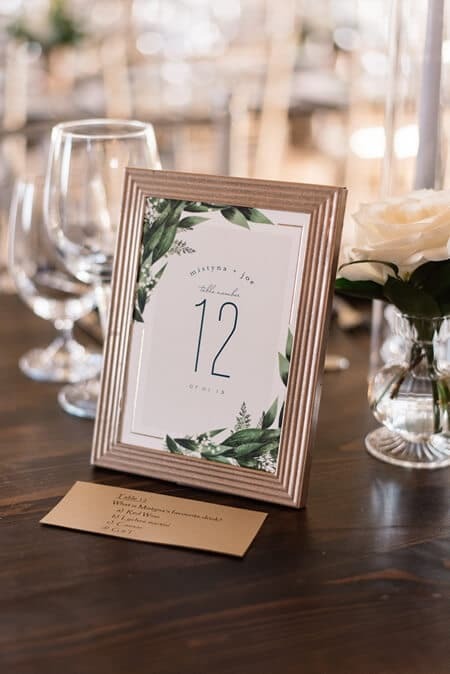 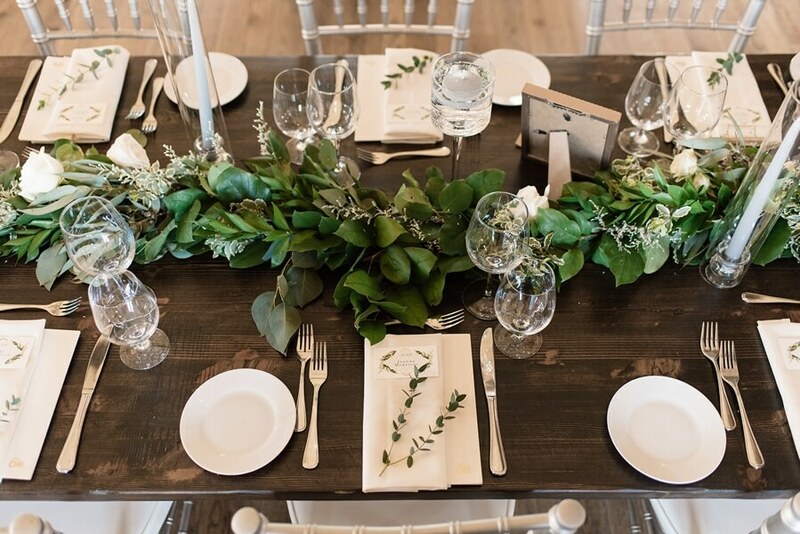 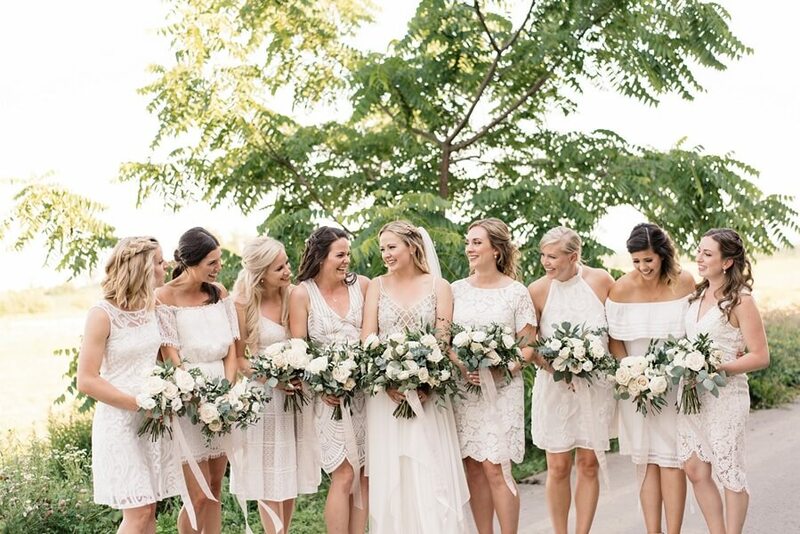 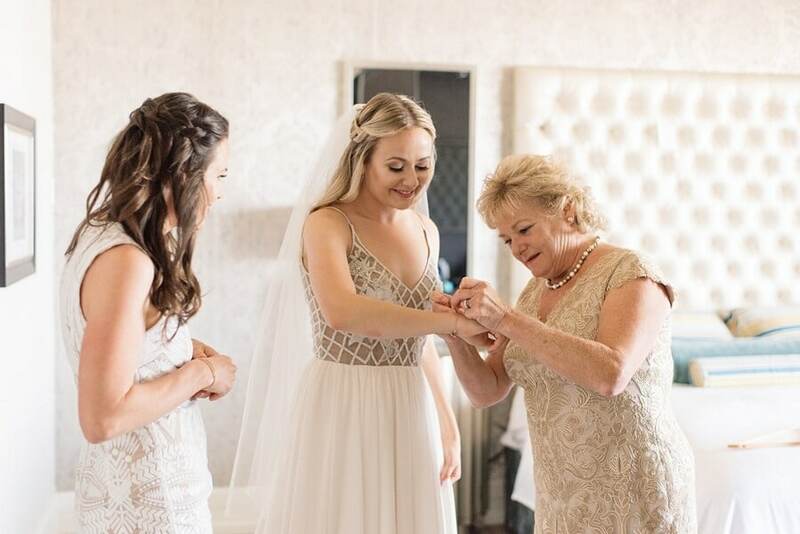 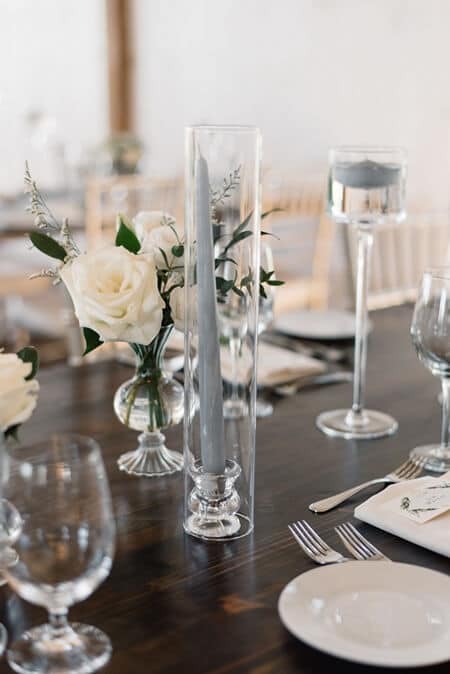 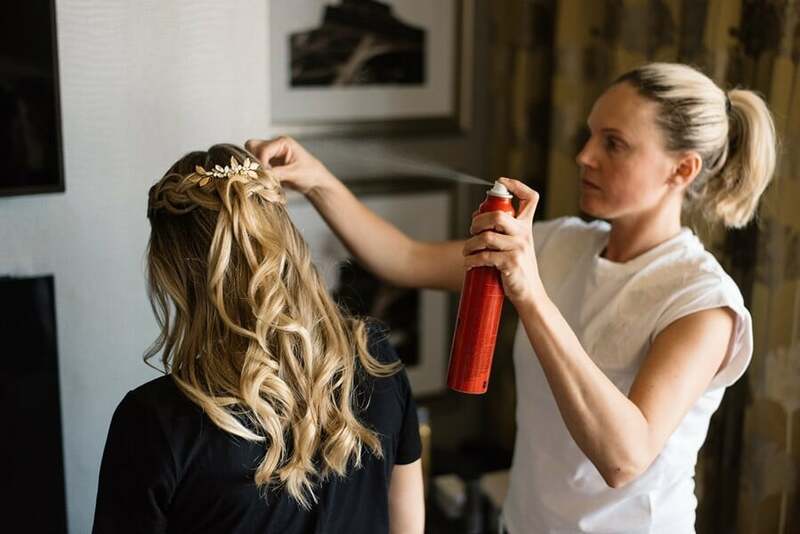 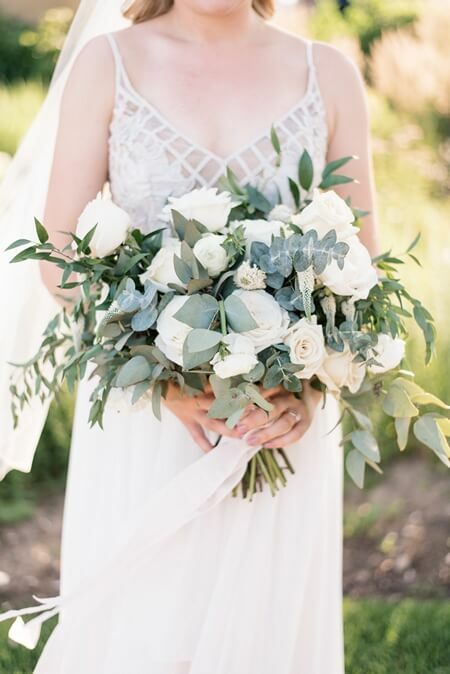 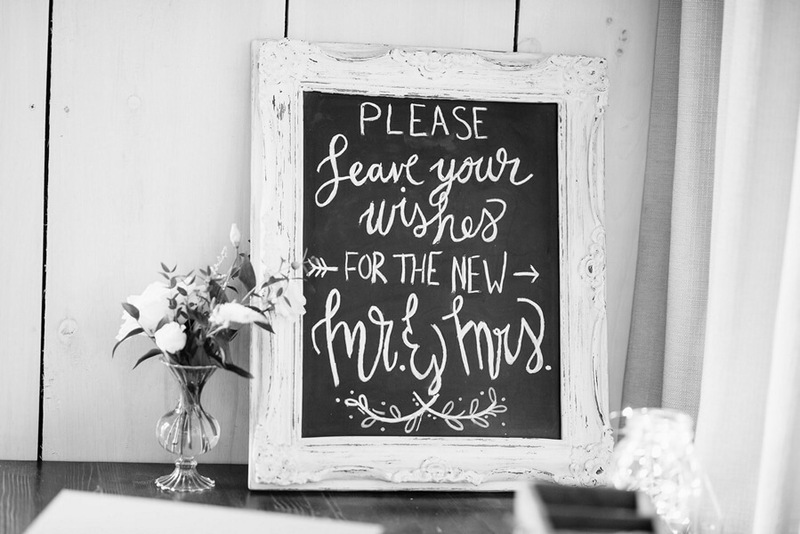 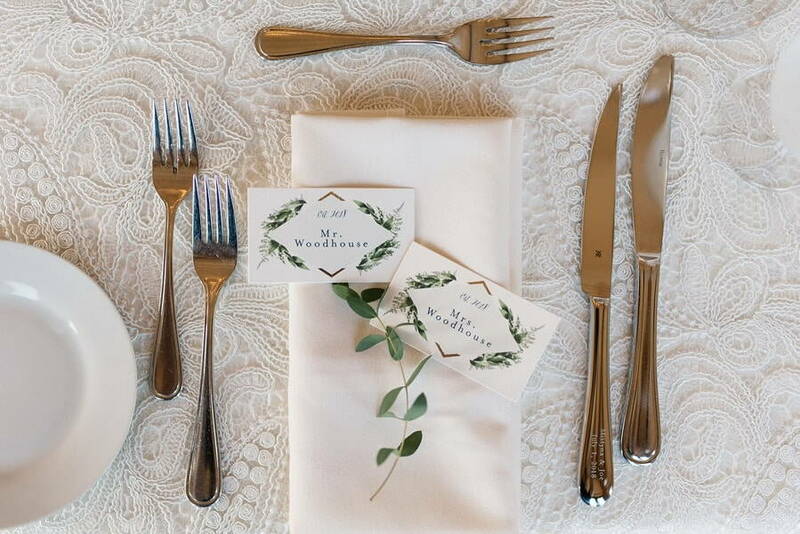 Jodi Leigh Designs helped them plan a wedding with a boho chic theme to suit the chosen venue. 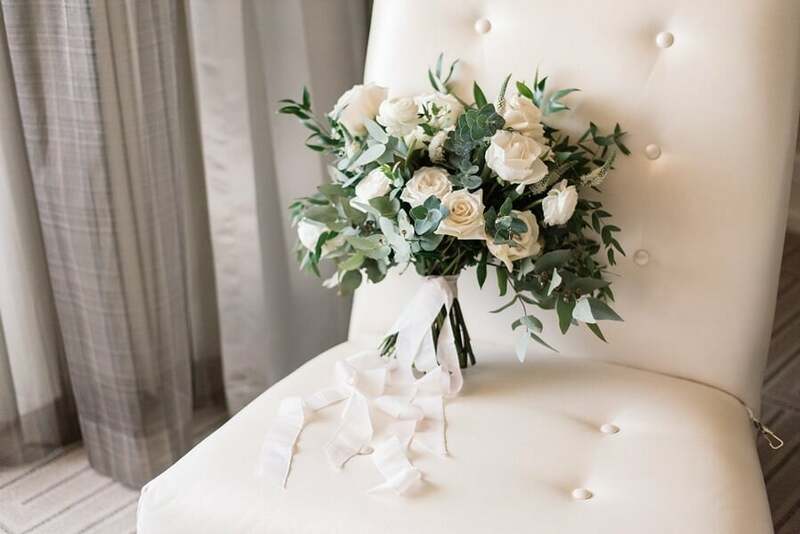 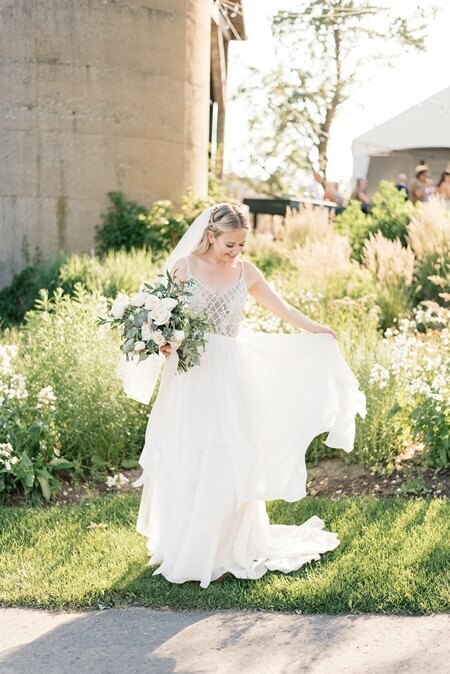 The bride wore an off-white, elegant gown with a sheer, lattice and flower top and a long, flowing skirt. 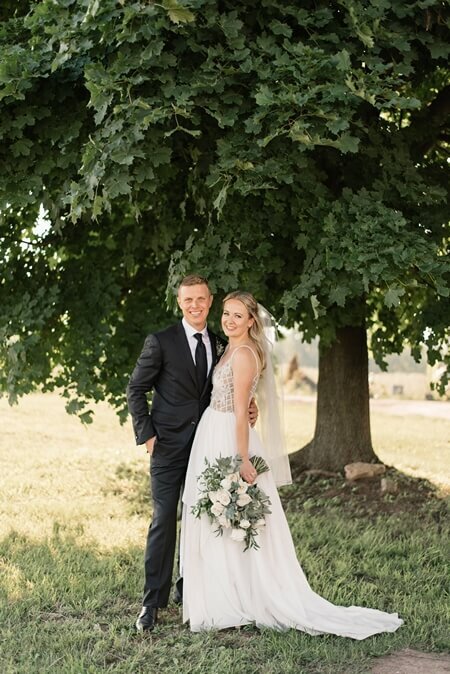 Mistyna looked stunning and the dress fit the farm’s natural garden perfectly. 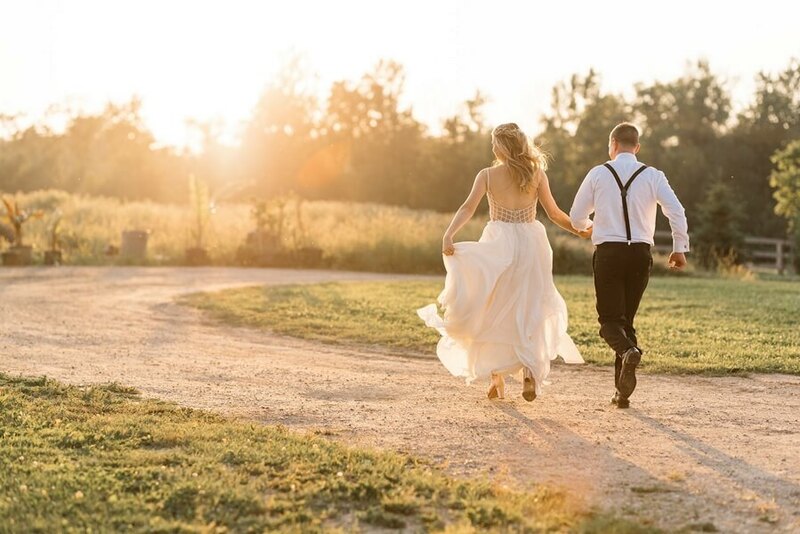 Thankfully, Olive Photography was on hand to capture the day’s precious moments. 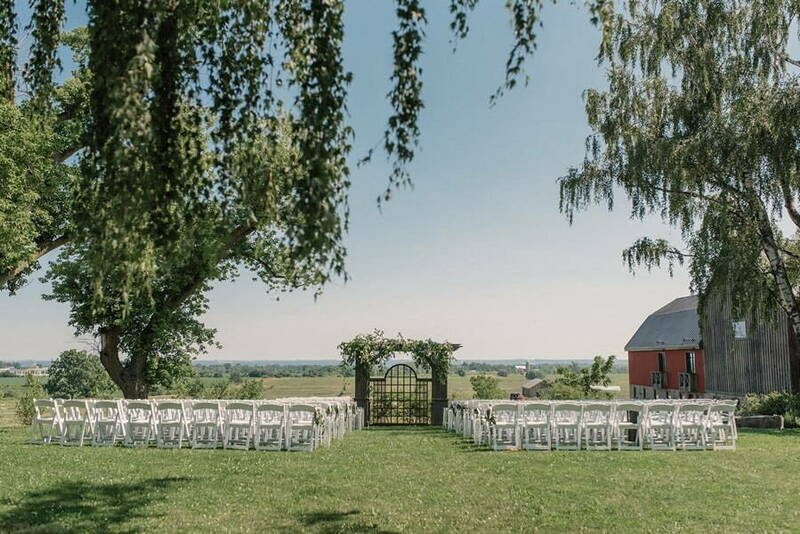 Friends and family filled the seats on the neat lawn as they waited for the ceremony to begin. 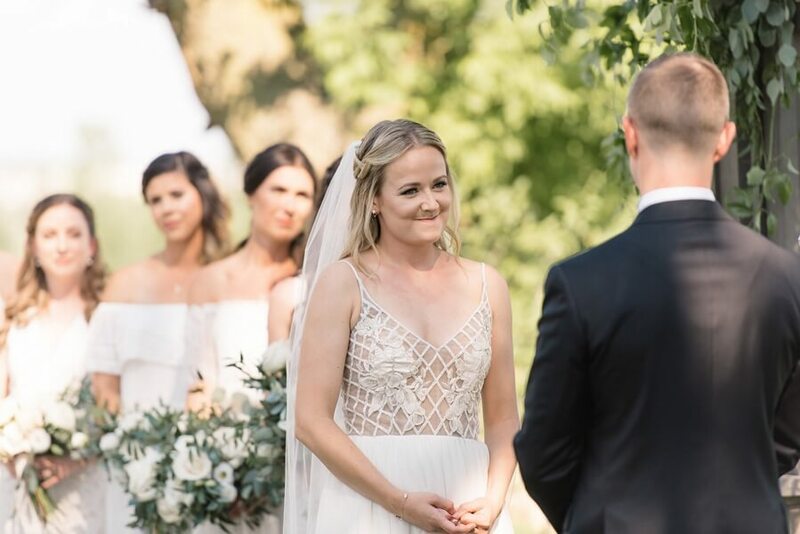 Blissfully happy, Mistyna walked down the aisle to meet Joe. 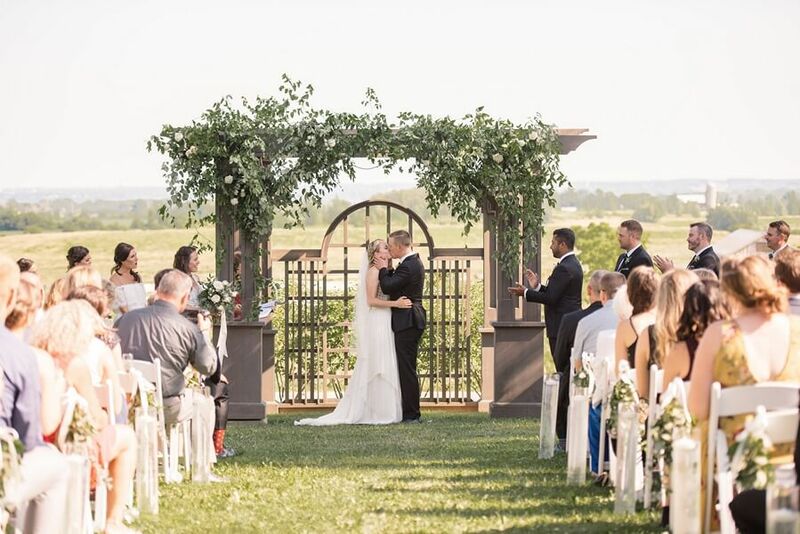 They exchanged vows under a canopy alive with verdure. 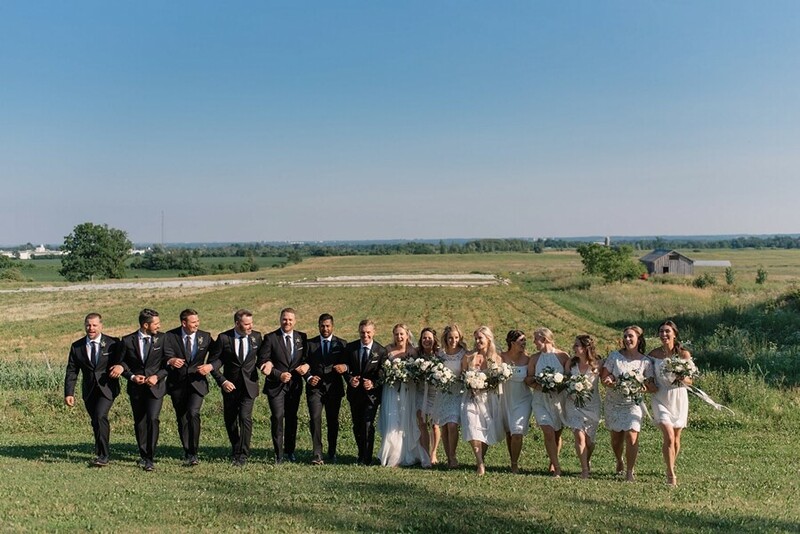 Blue skies and the farm’s calming fields made a perfect backdrop for photos. 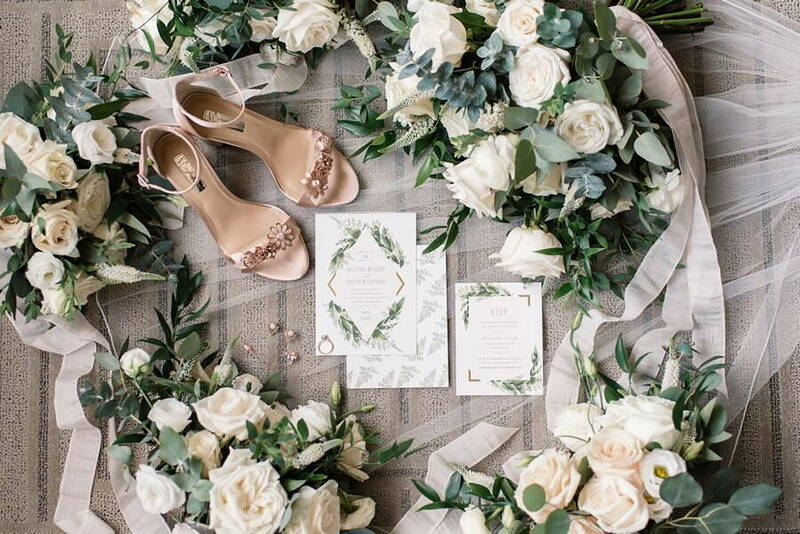 The reception had a simple and elegant colour scheme, using off white, greenery and some hints of rose gold. 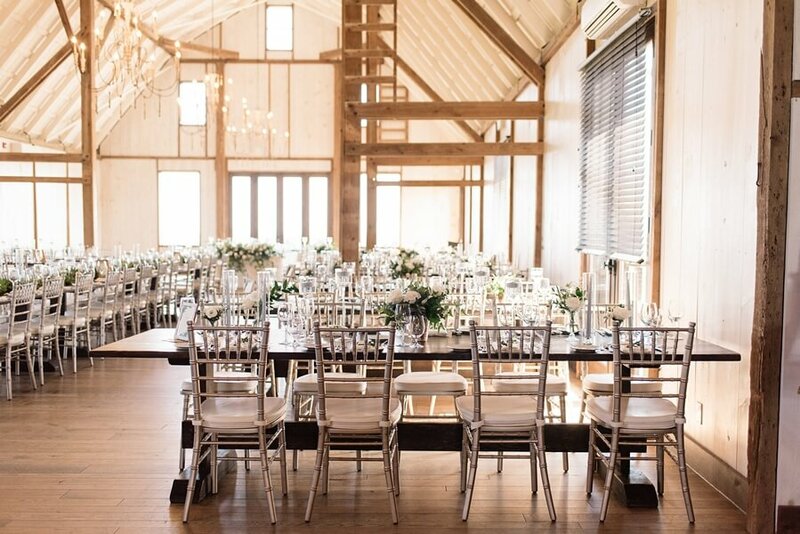 Silver chairs and golden chandeliers added a subtle dazzle to the room’s wooden interior. 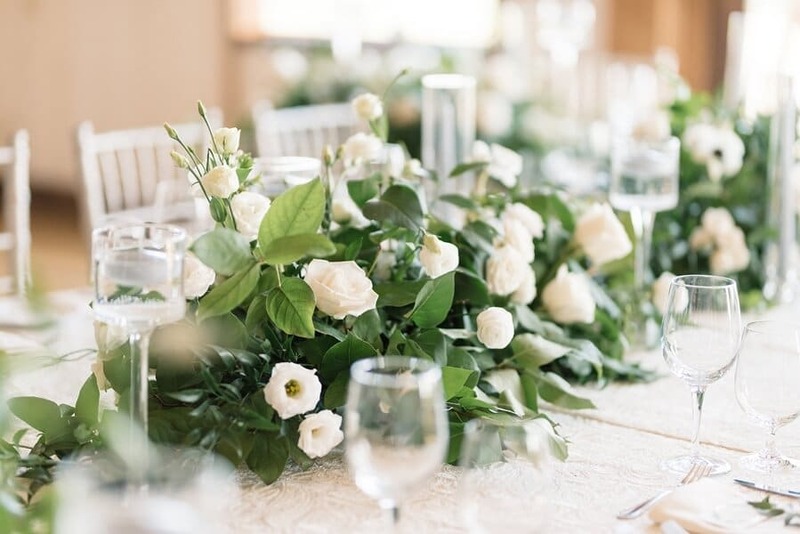 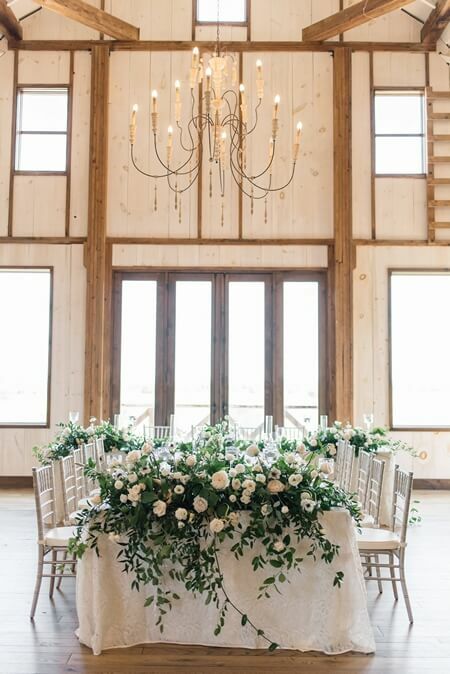 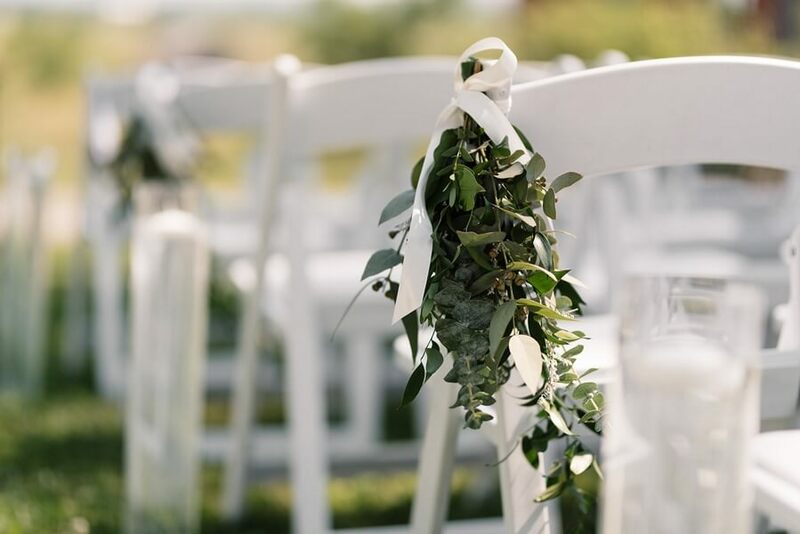 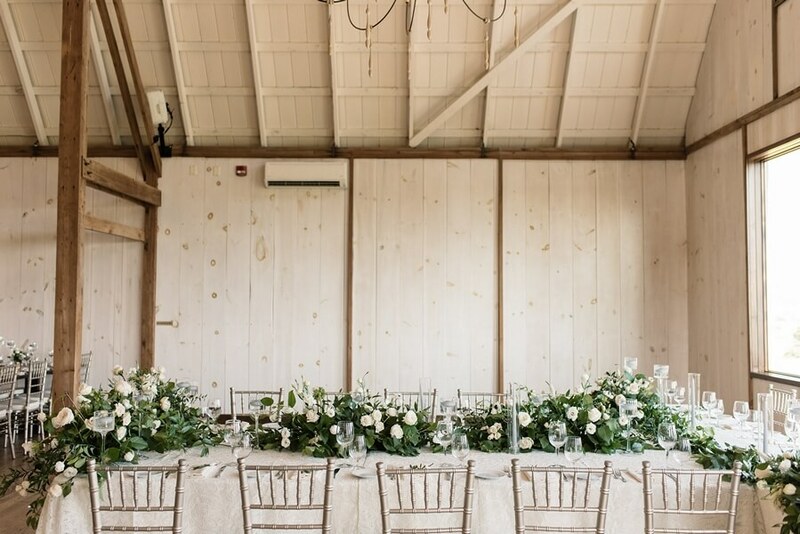 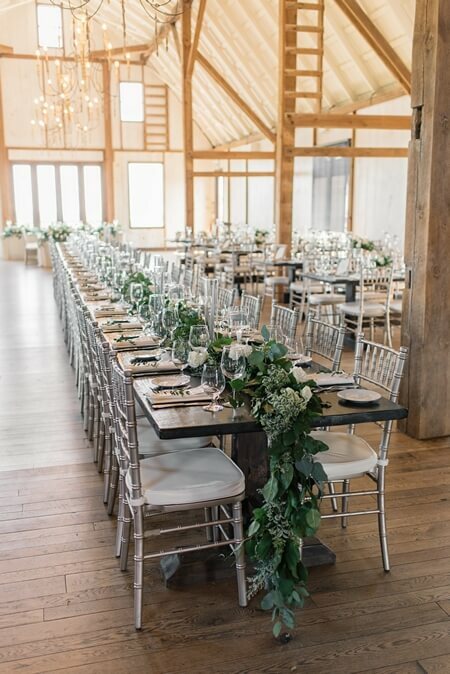 A long garland of white and green florals trailed off the grand table in the center of the barn. 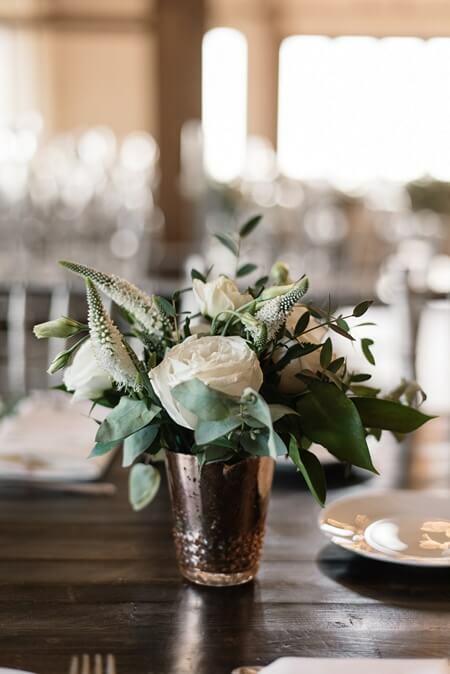 The surrounding tables were decorated with delightful centerpieces in tiny, glass vases and small, rose bronze pots. 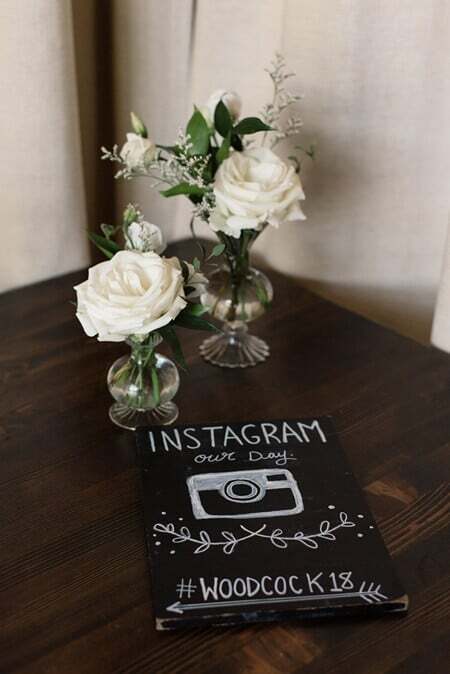 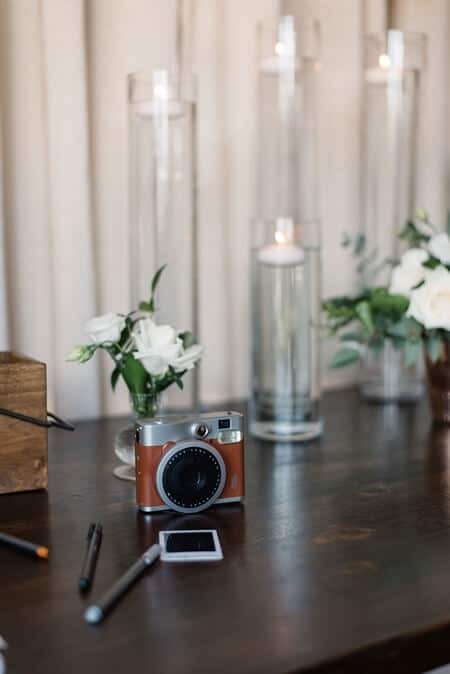 Between dining and mingling, guests left sweet wishes for the bride and groom and shared fun photos using the couple’s hashtag. 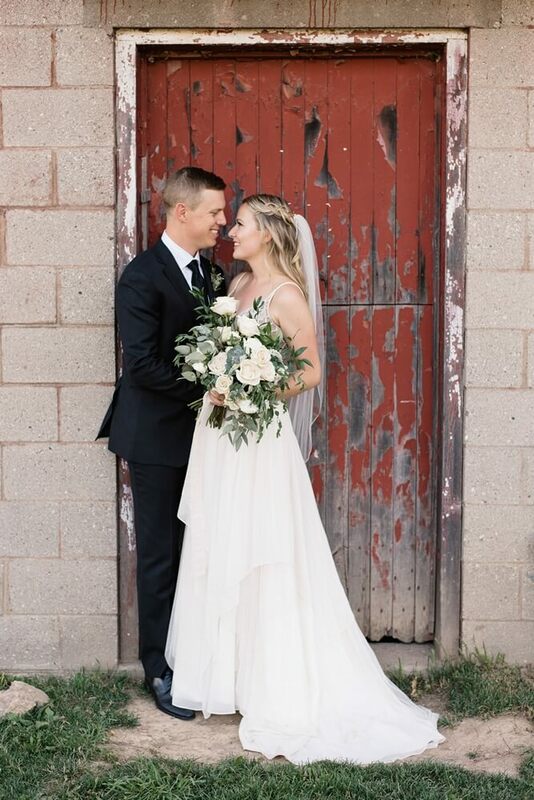 Everyone had an amazing time laughing and celebrating with the lovely couple!